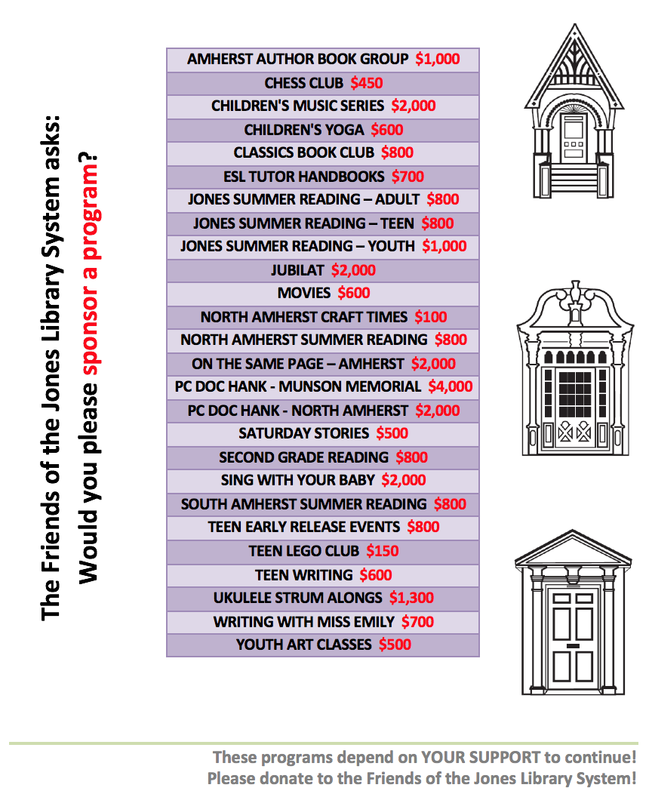 Friends of the Jones Library System News: Almost here! 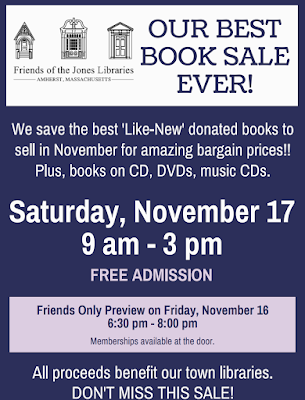 The Friends annual book sale is coming right up. Friends Only "Browse & Buy" Friday, Nov. 16 6:30pm-8:00pm. Not a Friend? Not a problem! Then, open to the general public Saturday, Nov. 17, 9:00am-3:00pm. See you at the Jones!